I've just come back from celebrating my sisters 16th birthday party and what better way to continue the fun than listening to another top set of remixes by none other than Aaron White! 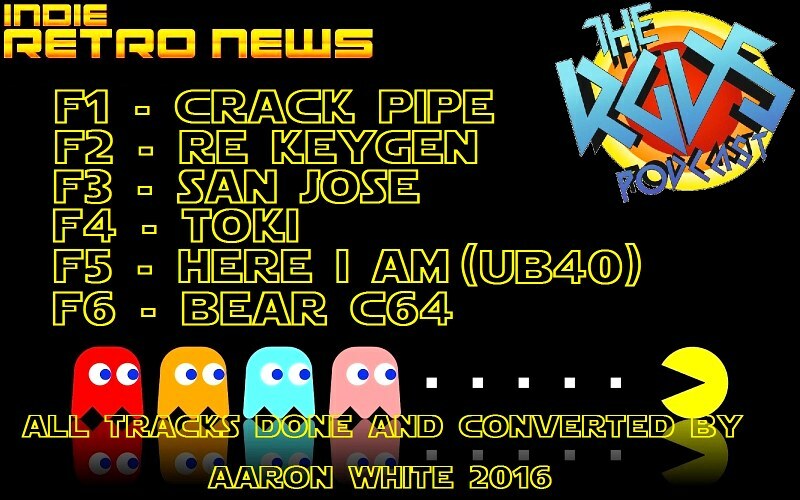 This is the 'RGDS & Indie Retro News Presents - Conversions & Compositions' for the Amiga. A 6 track album featuring a mix of covers and originals! Tunes in the list include, Crack Pipe, Re-Keygen, San Jose, Toki, Here I Am by UB40 and the other one Bear, which is from the forthcoming C64 game by Graham Axten or as he's known in the developer C64 scene (Toki). What a great set of music indeed, so turn those speakers up, it's going to be a long night!